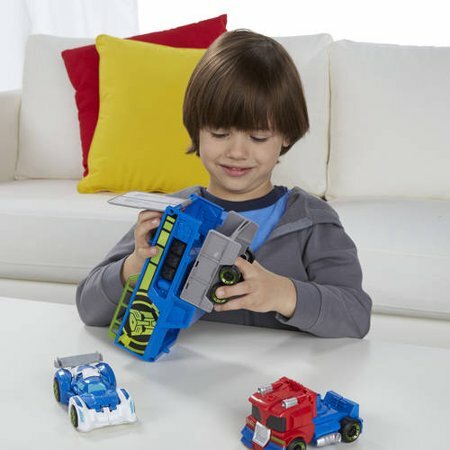 Walmart has the Optimus Prime Racing Trailer on sale for $17.59 (regularly $26.95). 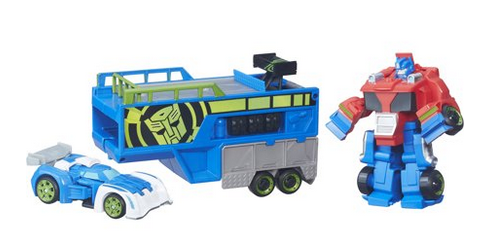 Race to the rescue with Optimus Prime and his racing trailer! The Rescue Bots Optimus Prime Racing Trailer playset features 2 figures with Easy 2 Do conversion: the Optimus Prime figure as a racing-inspired semi-truck and the Blurr figure as a race car. 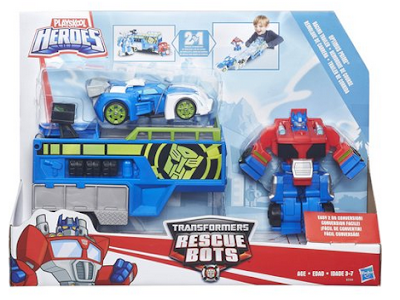 Optimus Prime helps Blurr get to the scene of a rescue in a hurry by transporting him in trailer mode. When a mission is urgent, little heroes can convert the trailer into a vehicle launcher and send Optimus Prime and Blurr on their way.